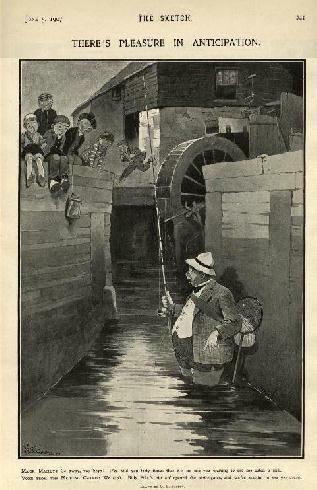 "There's pleasure in anticipation" On Studdy's favourite theme of fishing, published on 5th June 1907. 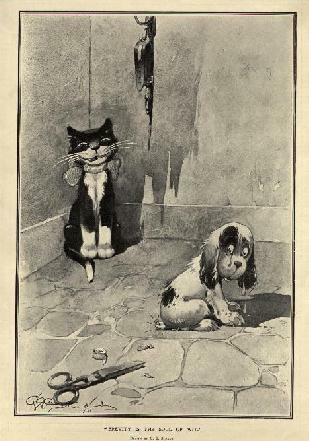 "Brevity is the soul of wit" Under the title 'Studdy's Dog Studies' this one appeared on 10th January 1912. 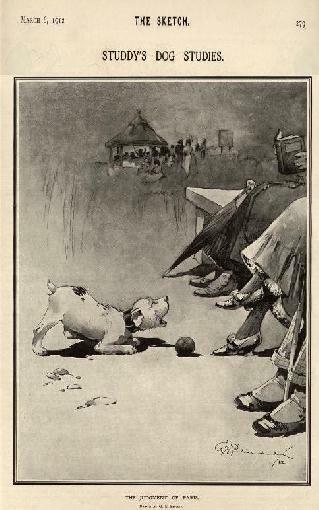 "The Judgement of Paris" Another 'Studdy's Dog Studies', published 6th March 1912. 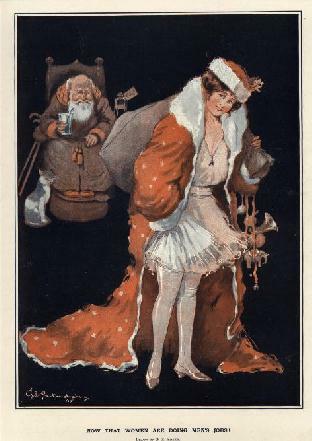 "Alfred disturbs the peace" From the Christmas Number 1913, this was one of a set of four prints. "Now that Women are doing Men's jobs!" 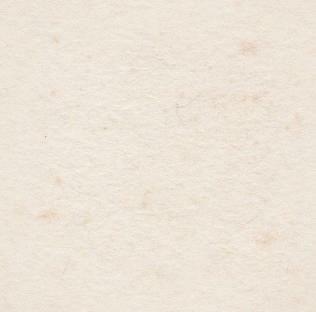 An amusing comment on the times, published 1st December 1915. 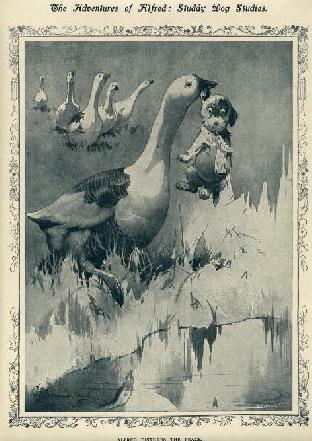 You can see many more images from this publication in The George E. Studdy Archive area of this site.